Understand how monitoring, durability studies, and corrosion analysis inform interventions in and adaptive use of industrial structures to residential and commercial uses. Anticipate the associated challenges of code compliance; limitations of structural capacity; and the long-term goals of owners and developers. Understand how invasive biological tree growth causes structural deterioration of masonry structures and heavy timber construction. Describe appropriate and effective stabilization methods and repair techniques for industrial buildings while balancing costs with goals of conserving historic fabric. Acquire knowledge of the rich history of the Pullman Car Company; understand developments in assembly line production related to the transportation industry; and recognize the value of architecture and archaeology in supporting rehabilitation and interpretive choices for a large-scale industrial site. Understand how the process of nomination to the National Register of Historic Places and utilization of Rehabilitation Tax Credits can be applied to large-scale industrial or manufacturing sites. Appreciate the complexity of preserving the character of a large-scale industrial site without compromising historic integrity and developing a practical reuse project. James V. Banta is a Construction Project Manager with the Office of Architecture and Engineering at the National Gallery of Art. Previously, he practiced preservation with Chambers, Murphy & Burge, A Studio of Perspectus Architecture in Akron and Cleveland, Ohio and worked for architecture and engineering firms in Washington, DC and New York, NY. James graduated from Connecticut College and has a M.S. in Historic Preservation from the University of Pennsylvania. 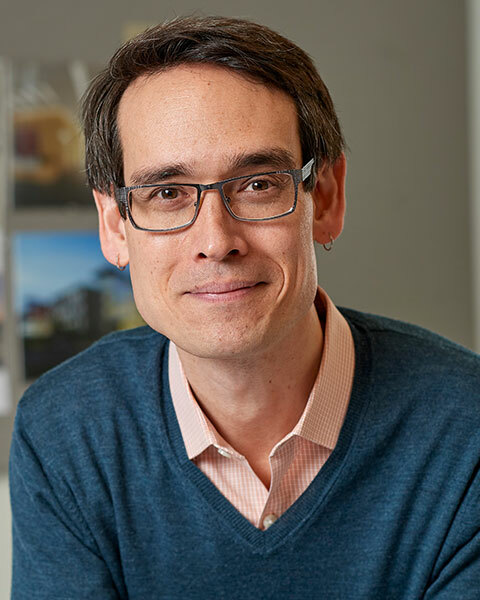 Bio: James V. Banta is a Construction Project Manager with the Office of Architecture and Engineering at the National Gallery of Art. Previously, he practiced preservation with Chambers, Murphy & Burge, A Studio of Perspectus Architecture in Akron and Cleveland, Ohio and worked for architecture and engineering firms in Washington, DC and New York, NY. 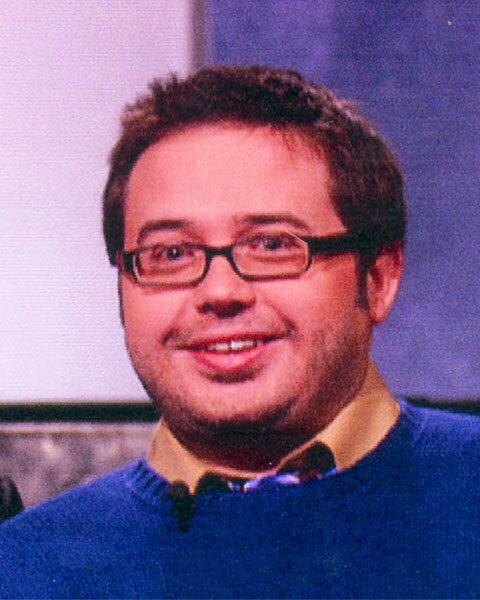 James graduated from Connecticut College and has a M.S. in Historic Preservation from the University of Pennsylvania. Justin Den Herder is a licensed engineer and an Associate at Silman where he has practiced for 11 years experience. He has worked extensively on existing building renovations and rehabilitation in New York City and beyond. He is the former editor of SEAoNY Cross Sections magazine and teaches as an adjunct professor at City College's Spitzer School of Architecture. Bio: Justin Den Herder is a licensed engineer and an Associate at Silman where he has practiced for 11 years experience. He has worked extensively on existing building renovations and rehabilitation in New York City and beyond. He is the former editor of SEAoNY Cross Sections magazine and teaches as an adjunct professor at City College's Spitzer School of Architecture. Rebecca Domingue has been with 1200 Architectural Engineers since 2015. Ms. Domingue came to 1200AE with a passion for historic preservation from the structural engineering perspective having received her Bachelor of Science in Civil Engineering from the University of Vermont. Quickly becoming well versed in the Secretary of Interior Standards for Historic Preservation and the interplay between new construction and historic structures, Rebecca’s work involves structural design and nuanced practice for a wide range of building materials and systems, from new to archaic. Bio: Rebecca Domingue has been with 1200 Architectural Engineers since 2015. 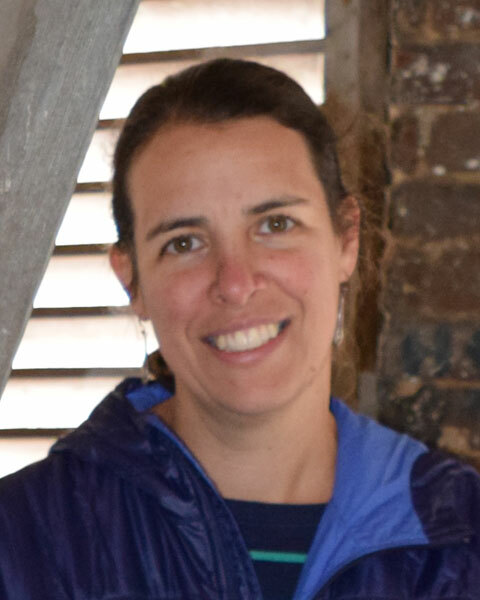 Ms. Domingue came to 1200AE with a passion for historic preservation from the structural engineering perspective having received her Bachelor of Science in Civil Engineering from the University of Vermont. Quickly becoming well versed in the Secretary of Interior Standards for Historic Preservation and the interplay between new construction and historic structures, Rebecca’s work involves structural design and nuanced practice for a wide range of building materials and systems, from new to archaic. Nicole Ferran has been at 1200 Architectural Engineers since 2013, after 16 years of experience at two other engineering firms. She has a Masters in Structural Engineering from the University of California at Berkeley, a Bachelors in Civil Engineering from the University of Maryland at College Park, and a Bachelors in Chemistry and Asian Studies from Williams College. She is a registered Professional Engineer in the states of California and Maryland. Bio: Nicole Ferran has been at 1200 Architectural Engineers since 2013, after 16 years of experience at two other engineering firms. She has a Masters in Structural Engineering from the University of California at Berkeley, a Bachelors in Civil Engineering from the University of Maryland at College Park, and a Bachelors in Chemistry and Asian Studies from Williams College. She is a registered Professional Engineer in the states of California and Maryland. 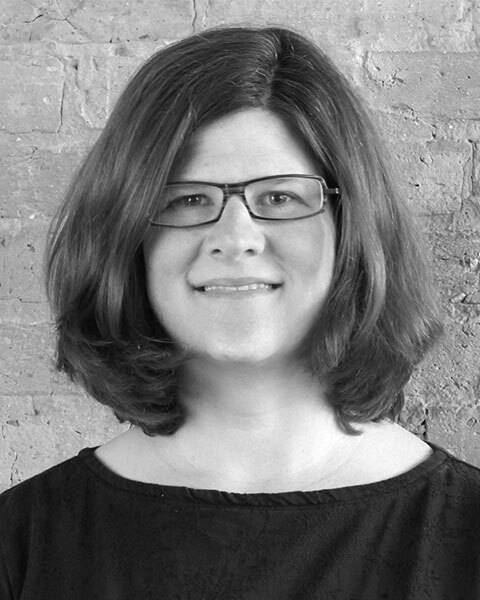 Andrea Terry is a Principal at Bauer Latoza Studio in Chicago, Illinois and lead’s the firm’s Historic Preservation and Adaptive Reuse projects. She holds degrees in both architecture and historic preservation. Andrea's professional work focuses heavily on the renovation of older buildings and the restoration and adaptive reuse of historic landmarks. Her portfolio of projects includes restorations of the Chicago Water Tower, the Locomotive Machine Shop at Steamtown National Historic Site, and numerous historic Chicago Public Schools. Andrea is the Principal Architectural Lead for the Rehabilitation of the Administration Building at the Pullman National Historic Site in Chicago. Bio: Andrea Terry is a Principal at Bauer Latoza Studio in Chicago, Illinois and lead’s the firm’s Historic Preservation and Adaptive Reuse projects. She holds degrees in both architecture and historic preservation. Andrea's professional work focuses heavily on the renovation of older buildings and the restoration and adaptive reuse of historic landmarks. Her portfolio of projects includes restorations of the Chicago Water Tower, the Locomotive Machine Shop at Steamtown National Historic Site, and numerous historic Chicago Public Schools. Andrea is the Principal Architectural Lead for the Rehabilitation of the Administration Building at the Pullman National Historic Site in Chicago. He received a Ph.D. and an M.A.H in Architectural History from the University of Virginia, and a B.A. in History from the University of Notre Dame. 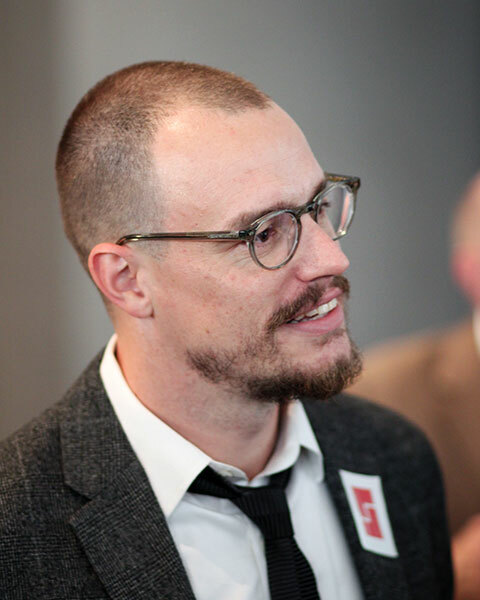 Bio: Bryan Clark Green is the Director of Historic Preservation for Commonwealth Architects of Richmond, Virginia. His work includes writing historic structure reports and National Register nominations, drafting conservation assessments, feasibility studies, and rehabilitation plans for a variety of architecturally and historically significant properties from the early 17th century through the late 20th century. He is a member of the Board of Directors of the Society of Architectural Historians, and chairs its Heritage Conservation Committee He received a Ph.D. and an M.A.H in Architectural History from the University of Virginia, and a B.A. in History from the University of Notre Dame. Pat Arnett joined Silman in 1999 and was named a Principal of the firm in 2017. He has wide ranging experience on adaptive reuse projects and has worked on many industrial buildings in New York City and beyond. He has been a studio consultant at Rice School of Architecture and adjunct professor at Columbia University since 2013. He also serves as a professional mentor for the Manhattan College Chapter of Engineers Without Borders. Bio: Pat Arnett joined Silman in 1999 and was named a Principal of the firm in 2017. He has wide ranging experience on adaptive reuse projects and has worked on many industrial buildings in New York City and beyond. He has been a studio consultant at Rice School of Architecture and adjunct professor at Columbia University since 2013. He also serves as a professional mentor for the Manhattan College Chapter of Engineers Without Borders.